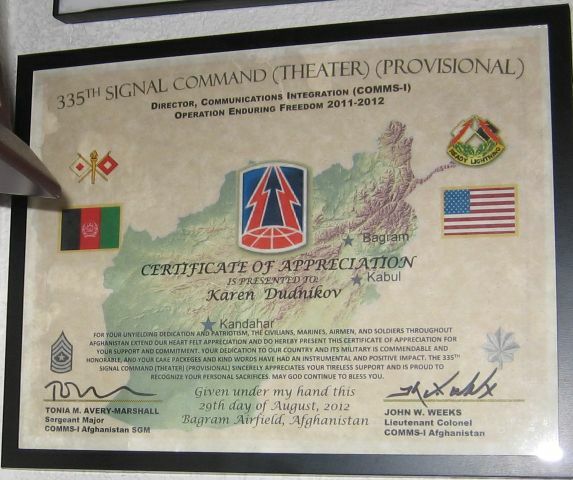 The Certificate of Appreciation from the 335th Signal Command, Kandahar, Afghanistan, Operation Enduring Freedom, 2011-2012. It cites Karen for her contributions. Signed August 29, 2012, Bagram Airfield, by LTC John W. Weeks.